Use the Field API to add EnterMedia asset fields to any content types, profiles, vocabularies, etc. Search for assets using any metadata field available in EnterMedia. Deliver digital assets directly from a CDN, such as Akamai, Amazon CloudFront or Amazon S3. The EMBridge module is not only an incredibly powerful way to extend Drupal’s capabilities for searching and publishing rich media on your website, it also gives you a way to tap into the power of EnterMedia for uploading and managing assets and metadata. 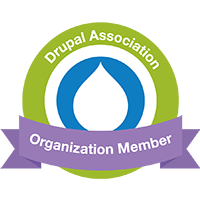 This rich functionality can all be accessed directly from within Drupal’s content creation interface without having to jump out to your desktop or another application interface. For more information about DPCI's EMBridge module or for consulting and implementation support, please contact us Toll Free at (877) 206-9382..